If your struggle with when and how to hinge your wrists, here is a drill to help you learn how to start your swing. Wrist hinge should happen naturally in the golf swing. If your grip is in a neutral position,the wrists will be able to fully hinge as you swing the club back to the top. There is no exact spot where you are supposed to hinge your wrists. Some players set their wrists very early in the swing and others create the hinge later in the swing. Most high- handicappers go wrong when they have no wrist hinge and have to end up hinging their elbows instead to get the club to the top. Set-up in your normal golf stance. Swing the club back and let the weight of the club hinge the wrists naturally. At about the halfway back point in your swing, your club and forearms should form a right-angle. Hold position for a moment. This exercise will help you improve your flexibility to increase your range of motion to make a better swing. Try this flexibility exercise that targets arms, shoulders, obliques and core muscles. If you have limited side bend, then you will also be limited in your spinal rotation because one motion cannot happen without the other motion. Any limitations in this area will cause you to slide or sway in your golf swing. Improving your range of motion so you can side bend will help you make a better backswing and follow-through. 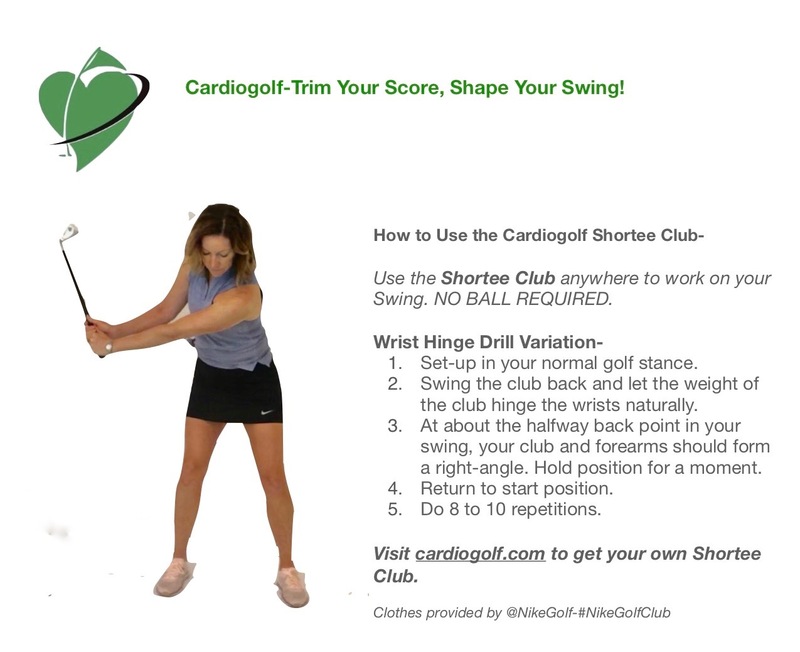 Hold a Shortee Club with both hands as shown. Inhale one deep breath to prepare and stand tall. 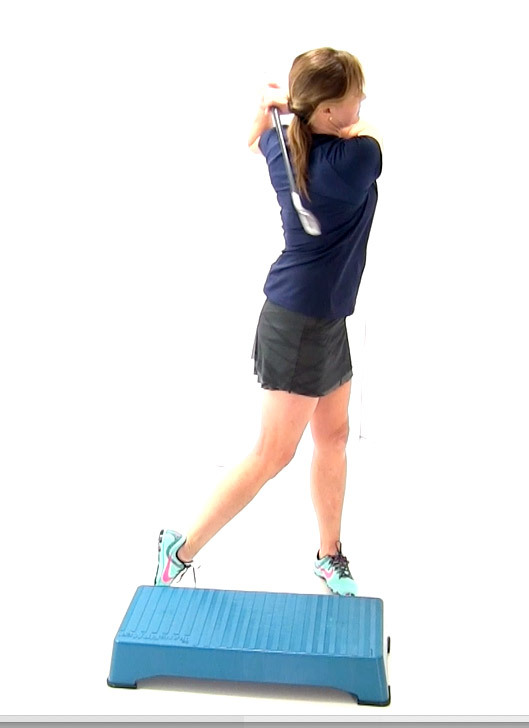 Let go of club with one hand and reach the club out to the side into side flexion. Exhale as you reach out hold for breath. Inhale back to center, stand tall, switch hands and reach to other side as you exhale. Alignment is the easiest fundamental to work on, and probably one of the most neglected principles of golf. A good shot is useless unless it is going toward your intended target. 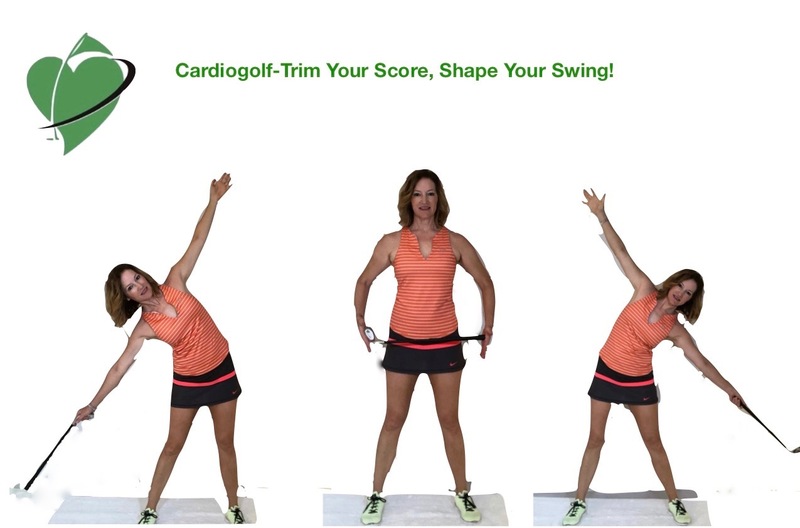 First, you align the clubface square to your target line, and then you align your body. One of the biggest mistakes I see, as a teacher, is when people line up their body to the target first, then set the clubface down to the ball. This sequence usually makes people misalign their bodies, causing them to twist and turn inappropriately to get the ball to the target. 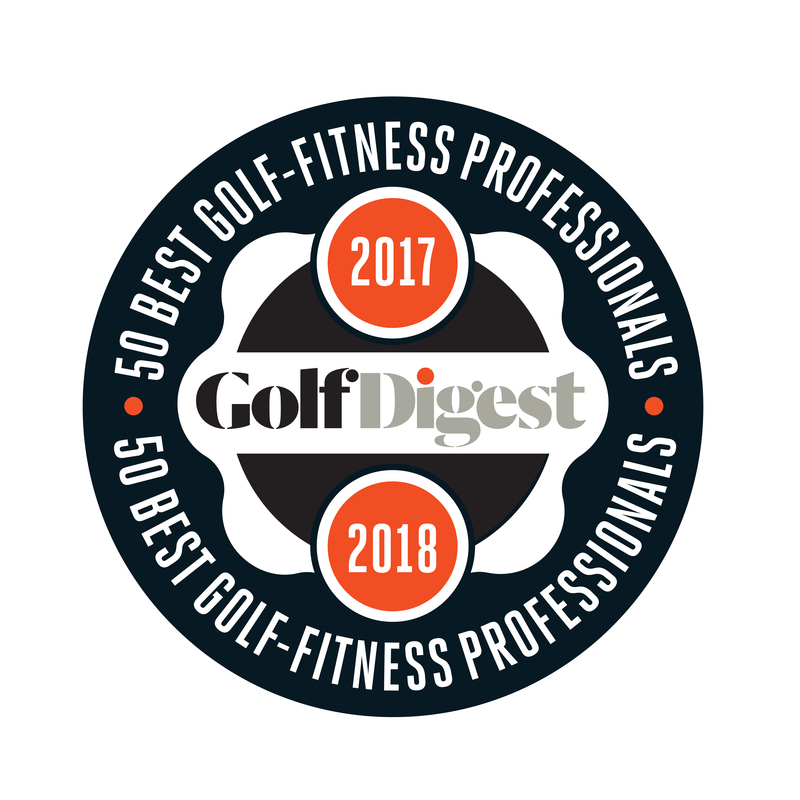 Do not make the mistake that 90 percent of higher-handicappers do by not taking the time to align the body correctly. Place a club or alignment rod down on the ground, pointing it parallel to your target. With a secure grip and stepping forward with your back foot, set the clubface down behind the ball with the leading edge perpendicular to your target line. Then set your front foot into position and adjust your back foot into place so that both are parallel to your target line. Your feet, hips, knees, shoulders and even eye line should be parallel to your target line. Avoid aiming your body at the target. This closes you off and promotes an inside-out swing or makes you hook the ball excessively. You may even come over the top on the downswing to pull the ball back towards your target. Practice hitting to targets in an alignment station so you can teach yourself to aim correctly.